My husband's grandma was one of those cooks that no matter how many family or friends dropped in she could always rustle up an amazing home cooked meal. I remember she always had lots of little bowls of wonderful tasting things at all her meals. She won prizes at the fair for her bread but sadly that recipe never was passed down because she didn't have one. She made bread by how it felt. Oh how I wish I had learned that from her. Her desserts were not to be surpassed either. The family was known to battle over a piece of her pies or cakes (all in good fun of course!). 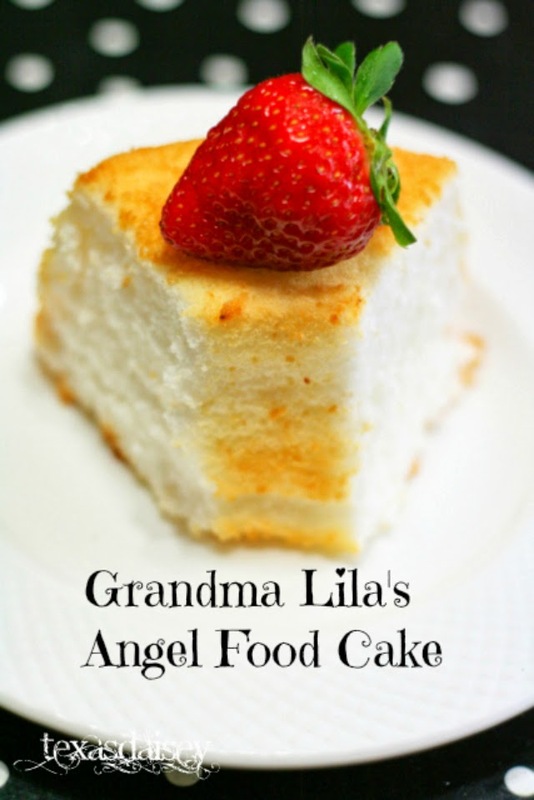 Here is her recipe for Angel Food Cake. Many of the Howard Clan may remember this one! Measure flour & sift into bowl. Add 1/2 C sugar and sift 4 times. In another bowl beat the egg whites, cream of tartar salt, almond extract, and vanilla extract at high speed until peaks form. (be sure to beat well this is important). Slowly add 1 1/3 C. Sugar and mix well at high speed. Sift flour and sugar mix into egg whites mix. Using a spatula gently fold in flour/sugar mixture. Be very gentle so as not to deflate the peaks. Gently spoon into Tube Pan. (Do Not grease or flour the pan!). Bake at 375° for 35 to 40 minutes (lower to 350° for some Convection Ovens). Cake will be lightly golden and spring up after touched when done. Let cake cool in pan inverted onto the top of a glass bottle. After cool, remove from pan by running a butter knife between the cake and pan. Melt butter then mix in powdered sugar, extract and enough water to make glaze. It needs to then be poured over the top of the cake.